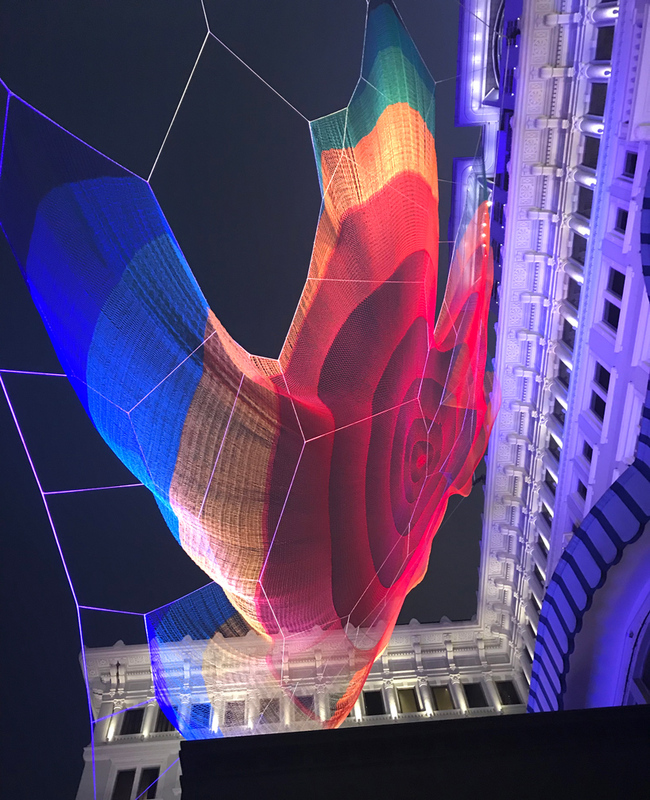 the number within the title ‘earthtime 1.26’ refers to time — specifically to the shortened number of microseconds in a single rotation of the earth’s day due to a shift in the planet’s mass. 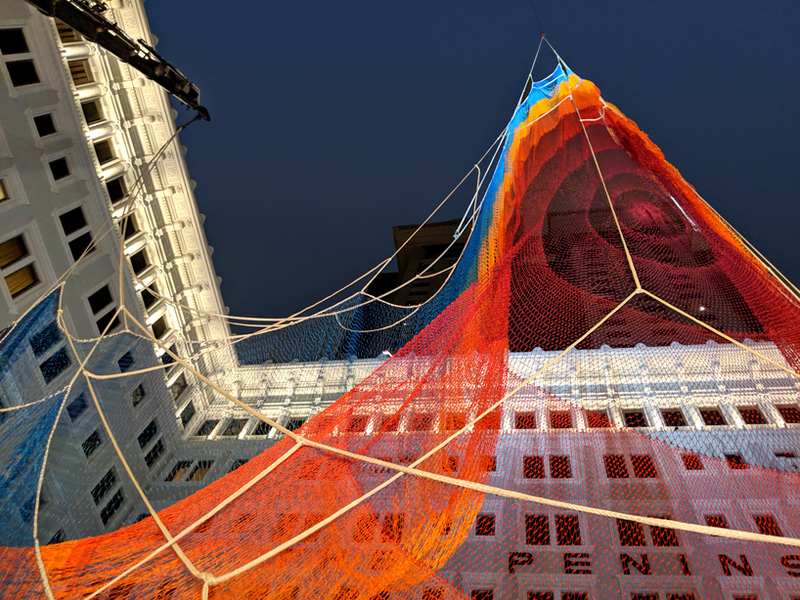 engineered to withstand cyclones, the sculptural net is crafted of ultra high molecular weight polyethylene, the same fiber used to tether the mars rover. 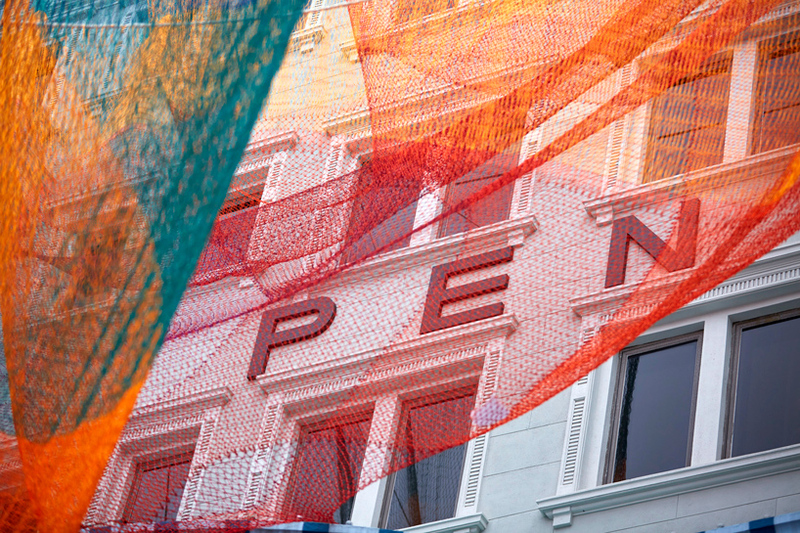 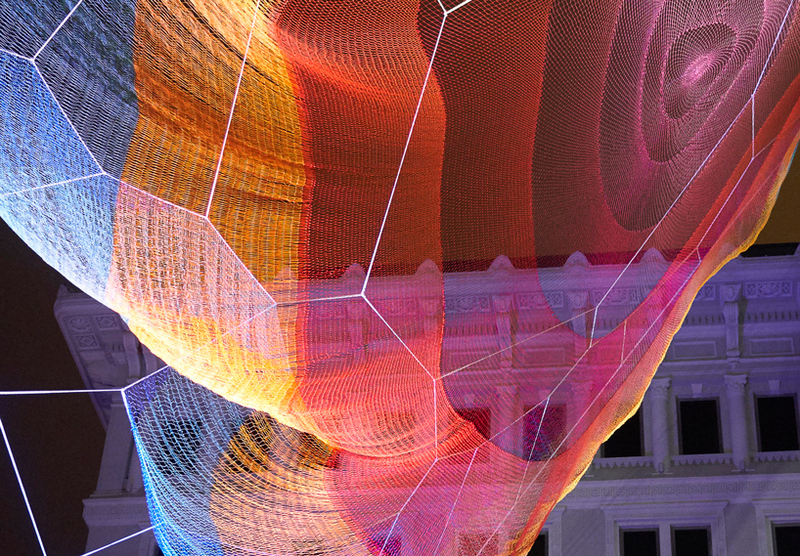 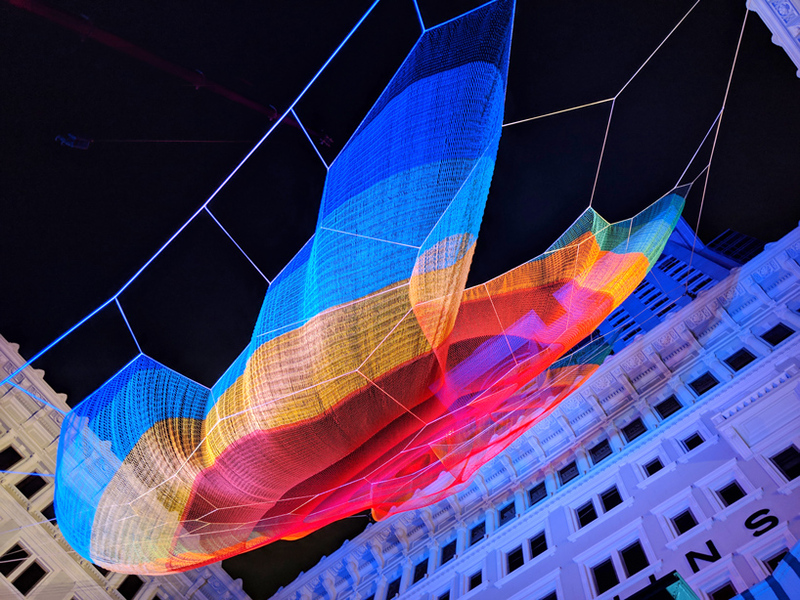 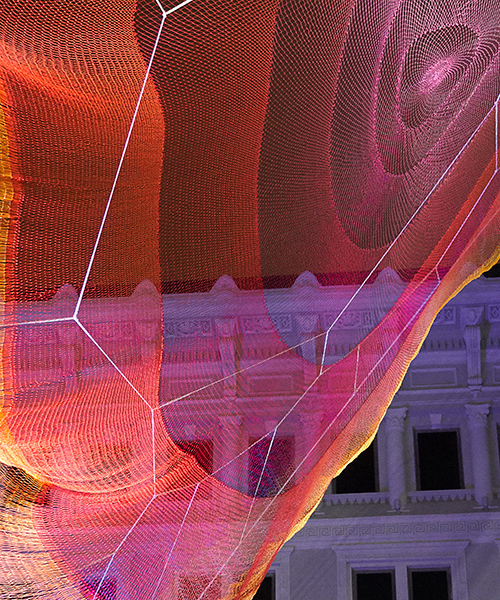 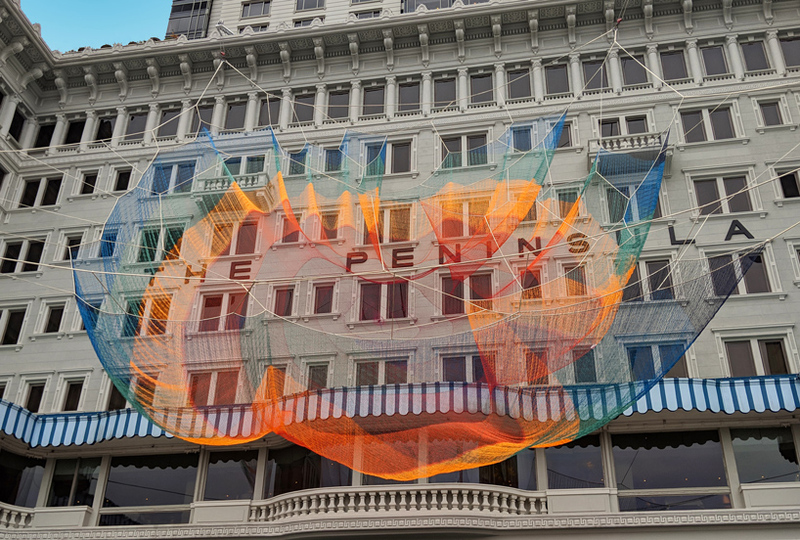 echelman began the earthtime series in 2010 when the biennial of the americas asked her to develop a work about the interconnectedness of nations. 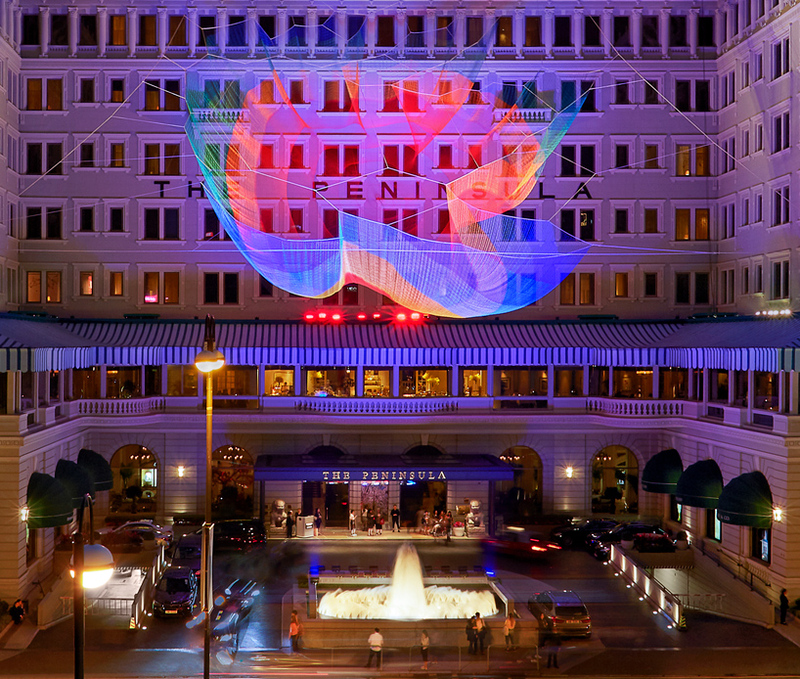 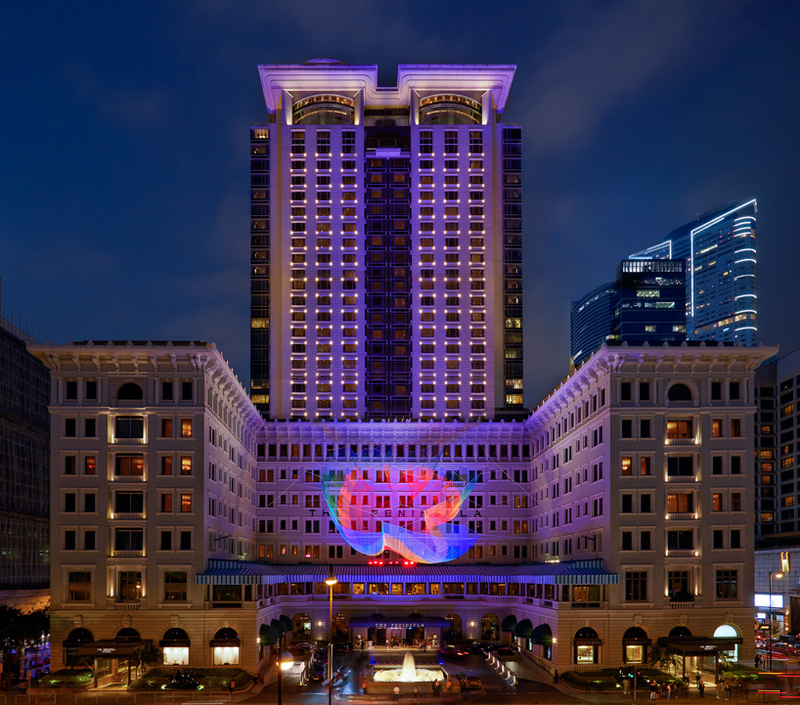 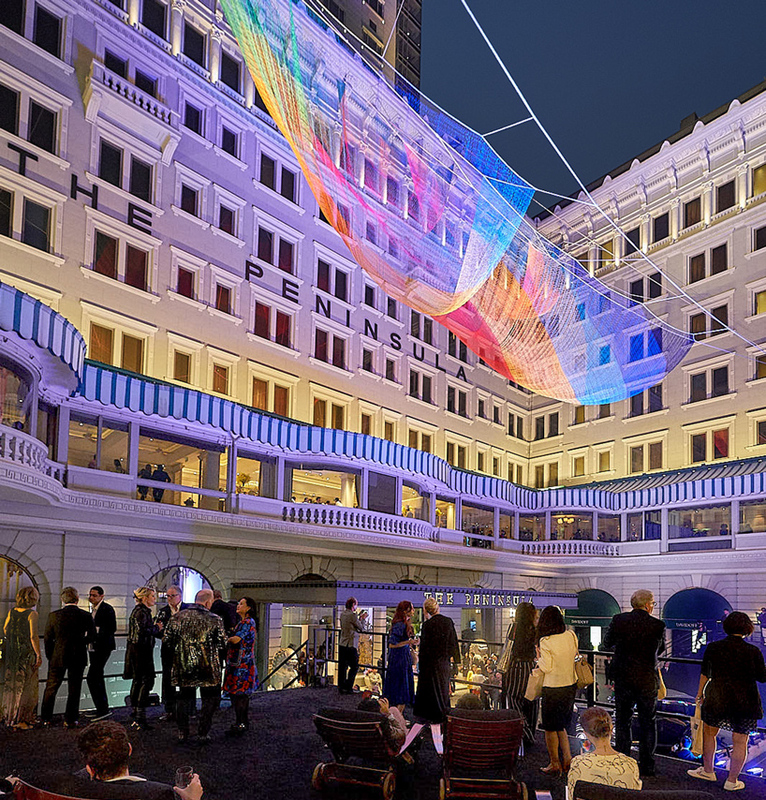 the current ‘art in resonance’ installations at the peninsula hong kong, including echelman’s earthtime 1.26 (hong kong) are viewable to the public from march 27 through june 21, 2019.